As a manager, you have a wealth of knowledge and experience to share with staff members. It’s important that you effectively communicate your insight with your team members and guide them in accomplishing your company goals. Your team can benefit from your expertise, but you need to share your knowledge in ways that staff members can understand. What makes an exceptionally great manager? It’s recognizing the relationship with your staff is a two-way street. This means that not only do you actively communicate information to staff, but you also strive to learn from the expertise your team has to offer. There are 3 key ways to facilitate this mutually educational relationship to ensure everyone involved can benefit. When you show a new skill to staff members, remember that you need to take their current level of knowledge into account. As you share your knowledge with staff, you also need to make sure you are illustrating the hows and whys of what you do. Surface level explanations will only yield surface level results. If you dive into the why and show how a task fits into the big picture, there’s no limit to the organizational goals your team can accomplish. You want your staff to feel comfortable approaching you with their questions. Not only will this facilitate the problem-solving process, but it will also create the opportunity for new solutions. By promoting an open door environment, your staff will feel encouraged to share suggestions and inspire ideas of their own. It’s important to provide opportunities for your staff members to brainstorm on new solutions. Organize weekly team meetings to encourage the sharing of experiences, lessons learned, and possibilities for collaboration. You may be surprised by how much insight everyone can gain. Eastridge Workforce Solutions can help companies find great managers and staff members who can work well together and learn from each other. 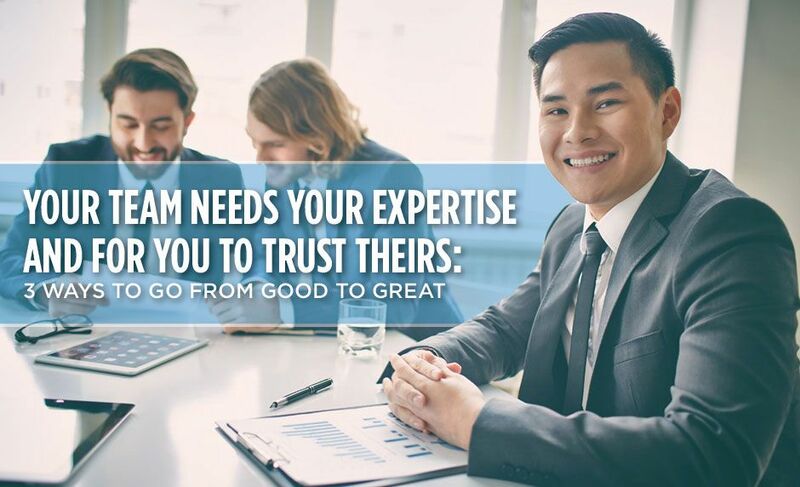 Contact us now to find out more about how our staffing firm can assist your organization in putting together great teams.